Pause, Think, Act - Something New Everyday! 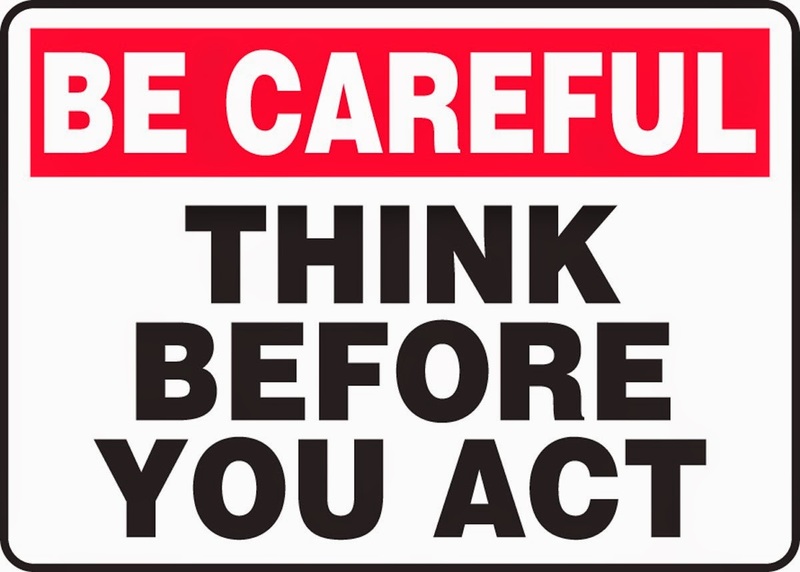 For all the times you've found yourself in a sticky situation because you didn't think before you acted.... here's the antidote: PAUSE, THINK and then ACT. Insert a pause - a space. Then think. Look Before You Leap. 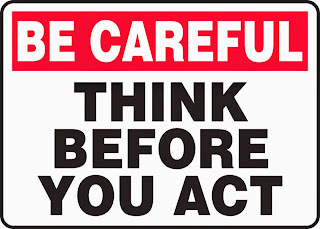 Be aware of the consequences of your action and then act. We usually blame our fortune when something goes wrong. We either feel it to be unjust or we tend to curse our past actions, which have brought us this fate. To curse past actions is to lose the present moment too. Instead of cursing our past actions, we need to make the most of the present. Whatever we do today, we get the fruit of it right now and for the future too. So we need to pay attention to do the right actions always and create the best fortune for ourselves. you have an opposing strength. Never run from your weaknesses. Be a warrior & face them with strength. We find ourselves getting very easily influenced with the negativity outside. Every incident and interaction has an impact on us, specially the negative ones. To get influenced is to take in lot of impurity from outside. This is like mixing alloy in gold and when we are coloured with the negativity within, we are not able to get molded easily. We need to keep ourselves free from the negativity that comes from situations and people. For this we need to develop our own inner positivity. It is like building a strong defense system from inside to protect a fort from being attacked. When we are able to maintain our own inner purity and positivity, we find ourselves becoming moldable.